The Cigars that started all. The premium cigar that put us on the map continues to keep us there. The Cigar that started it all. The premium cigar that put us on the map continues to keep us there. 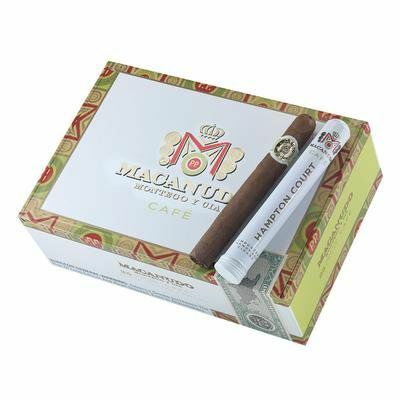 Macanudo Cafe Hampton Court Tube delivers a mild, yet flavorful smoking experience ideal for everyone in your group. Celebrated for its subtle body and mellow flavor, as well as its incomparable consistency – Macanudo is the top-selling brand in the U.S. Since its inception, this beloved cigar brand has taken up permanent residence in humidors everywhere due to its unparalleled construction and pleasantly mellow taste. General Cigar originally made Macanudo in Jamaica, but due to the adverse conditions moved production to the Dominican Republic, where it remains to this day.